In 2012, 229 US troops were killed in Afghanistan. In 2012, 349 US troops committed suicide. Suicide among veterans and active duty service members is on the rise. The total for last year represented a double-digit increase, regardless of branch of service. This is not just an issue for US troops. Suicides have also risen alarmingly among the UK’s forces in Afghanistan. The first order of business, of course, is why? Suicide is a complicated issue. Are the armed forces doing a good job screening applicants, rejecting those with obvious mental health issues? Are there contributing factors, such as alcohol or drug abuse? Is the shock of war too much for some people? 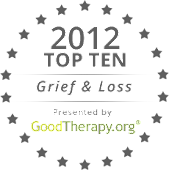 All of those are valid considerations, but one of the saddest reasons is grief…and guilt. Young men have always died in war (young women, too, though not always ‘officially’), so this is not a new phenomenon. Maybe it’s the way they fight now: undefined battlefields, IED’s, drones. Maybe it’s just that at long last, suicide and survivor guilt are finally being talked about – not as something to be ashamed of, but something to be treated and prevented. But time and again, in newspaper articles and reports, stories are told about another young man’s inability to reconcile surviving his friends. Next week, we’ll look at some ways the US Navy helps its members navigate the grief and guilt too many of them experience.